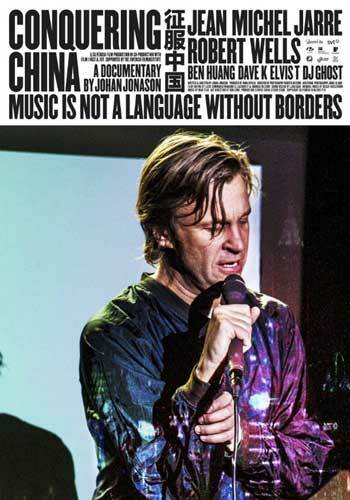 Swedish pop singer Johan Jonason finds himself challenged as he gets nothing but the silent treatment from the Chinese star producers he set out to collaborate with. An altogether humiliating experience. Jonason is forced to evaluate his methods and motifs. Writer & Director Johan Jonason was born in 1970 in Stockholm. He has a BA in Fine Arts from Chelsea College of Art, London and an MA from KKH, Stockholm. His work includes the Guldbagge-nominated short film Terrible Boy and his 2009 feature film debut Guidance. Dance Music Now was recently awarded with the Guldbagge for Best Short Film (the Swedish equivalent of an Academy Award. Silverosa Film produces fiction films and documentaries for the national and international television and cinema market with a strong artistic signature. The aim is to produce fiction with a humanistic commitment and documentaries raising important ethical, existential or social questions. Silverosa co-produces with national region funds, SVT (Swedish public service television), the Swedish Film Institute and various international co-producers. Founder Anna Byvald won the national film award Guldbagge (2009) and the Doc Alliance Selection Award (2009) for her feature length documentary “Maggie in Wonderland.” Her short film ”Dance Music Now” received a Guldbagge in 2013, and she recently finished her second feature ”Conquering China.” Byvald co-produced the Finnish film ”Aranda” and the Danish film ”Petey & Ginger.” Silverosa is currently co-producing a documentary together with Fastnet Films in Ireland, called ”Dangerously Seeking Marriage”, and has three features in development. Anna Byvald has a background in the music industry and the art world, before she studied to become a producer, which is an advantage in working with director’s crossing over from the same field.